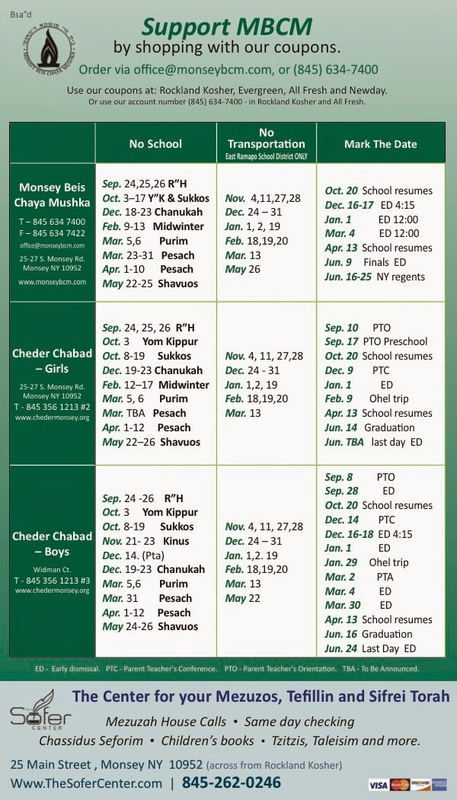 A magnet with the school calendars for the local mosdos for 5775 was mailed to the community from Monsey Beis Chaya Mushka. If you did not get one, please contact Rabbi Yossi Touger at 845-634-7400 ext. 300 or rabbitouger@monseybcm.com.